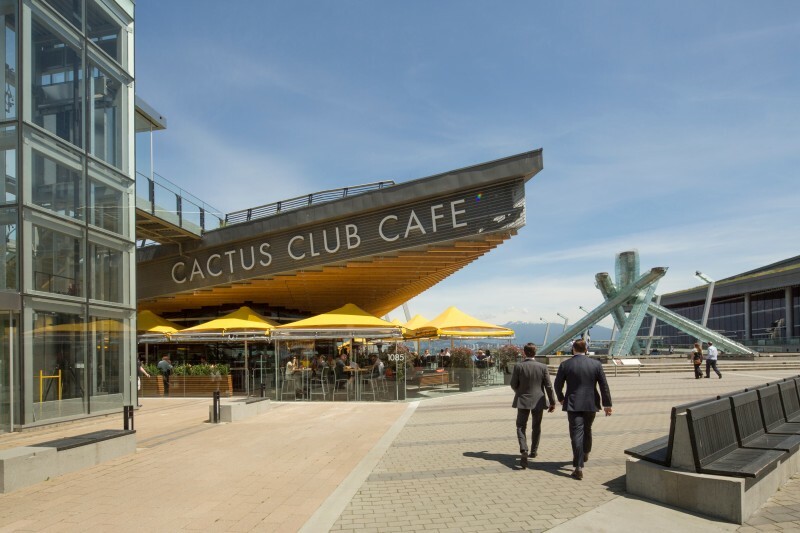 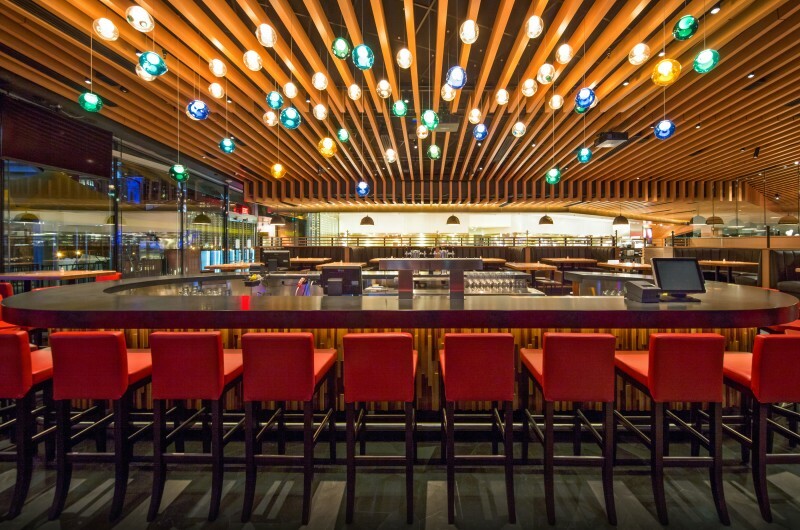 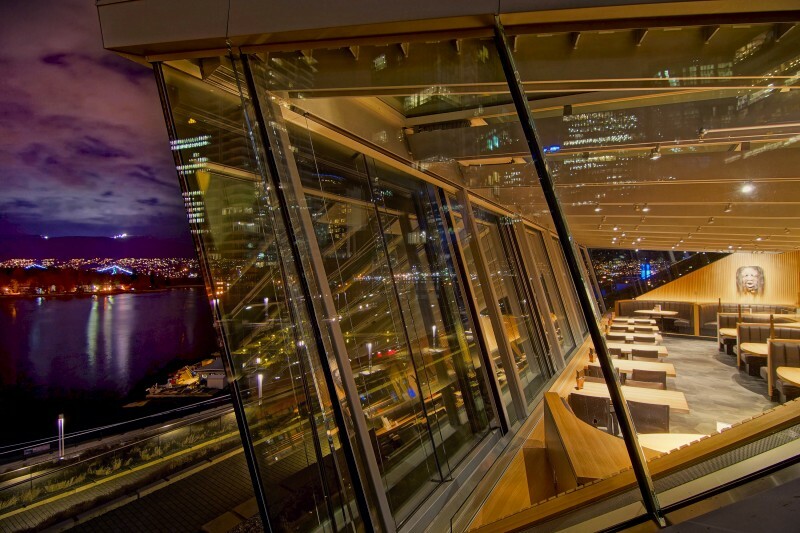 Completed in 2013, the 1,860 square metre restaurant is Cactus Club’s western flagship with 500 seats located within the angular volume of a formerly unoccupied speculative space at Vancouver’s Convention Centre West. 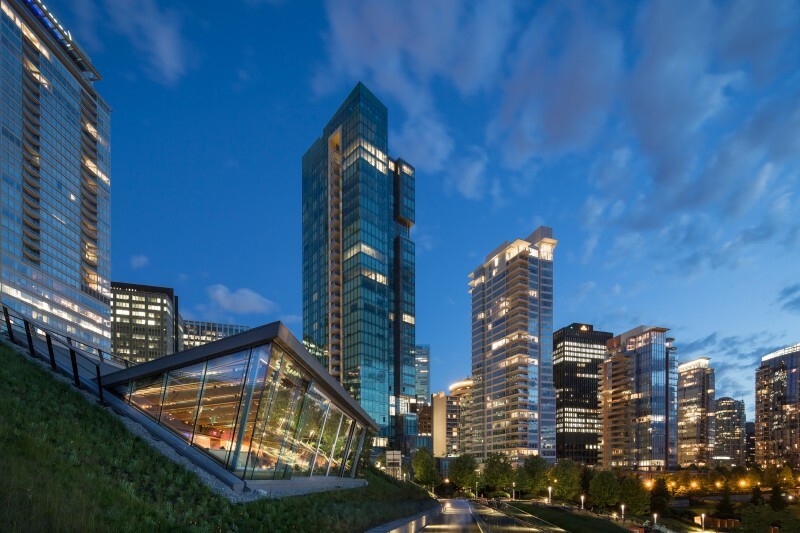 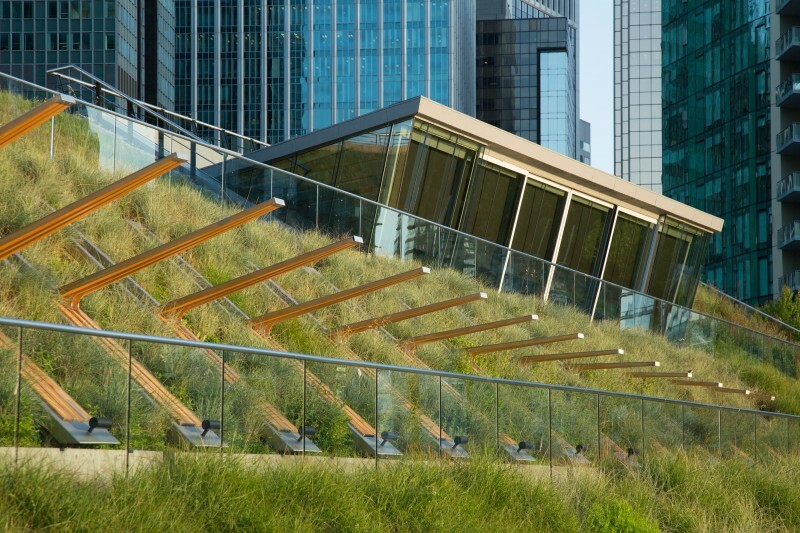 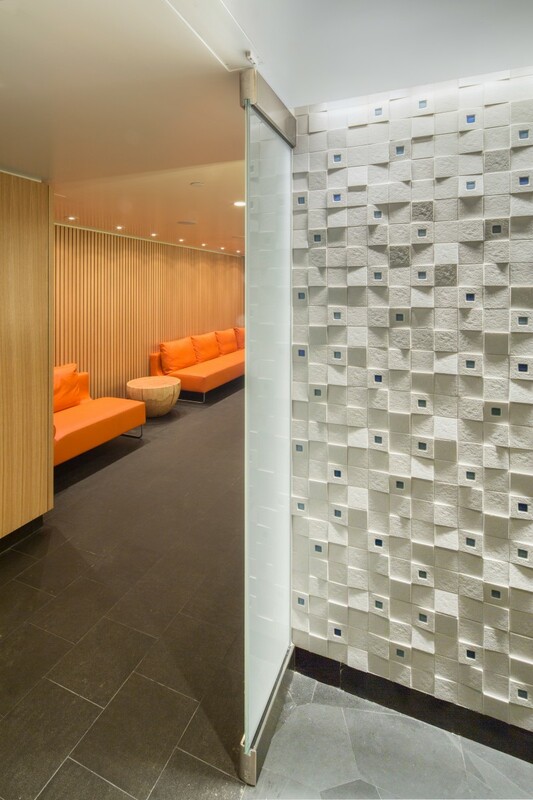 The design deftly exploits the breathtaking setting with expansive views of the adjacent Jack Poole Plaza and Vancouver’s spectacular Coal Harbour. 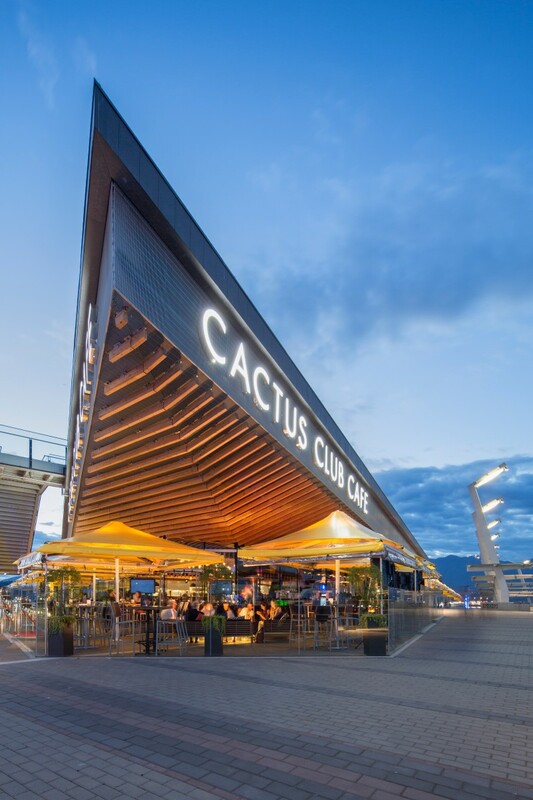 A series of contoured seating levels cascade down to a light-filled sea-to-sky terrace where a soaring steel and glass-roofed dining area looks out to sweeping vistas of Stanley Park, the North Shore Mountains and Vancouver’s working-waterfront setting. 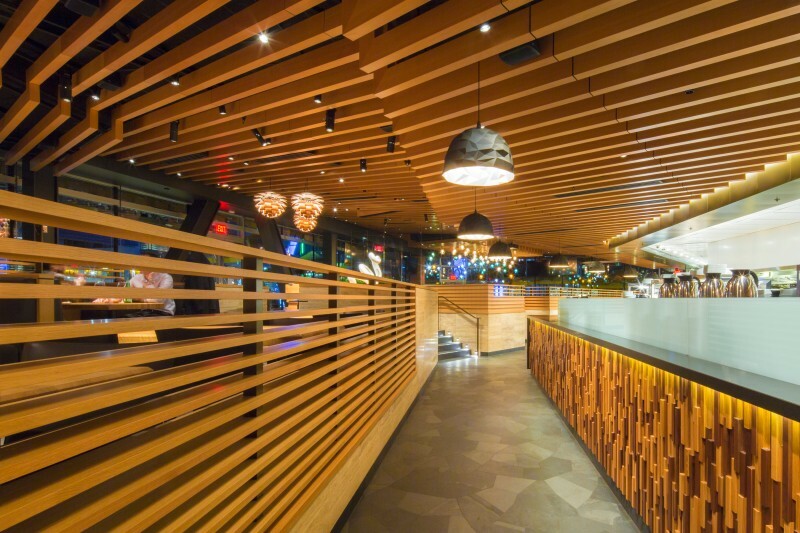 Wood ceiling slats oriented in long, variegated parallel lines combine with the angular volumes to create intimate dining spaces. 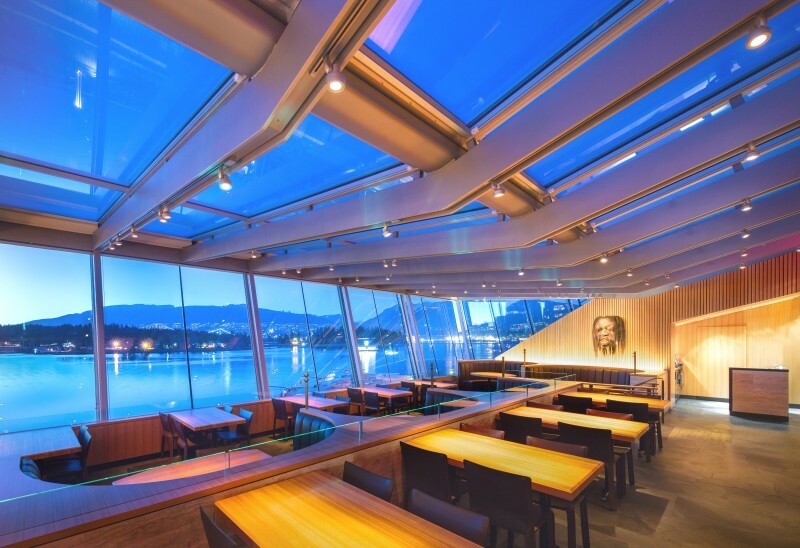 On warm, sun-filled days large, retractable glass panels slide open to let the outside in, further enhancing the experience of dining on the edge in Vancouver.